Brisk Services are professional Drainage Specialists, with over 30 years of experience in providing drain services to domestic and commercial sectors. Whilst our Head Office is located in Leicester, we have a network of depots throughout the Midlands, South Yorkshire and Cheshire. We are able to provide a rapid response to clients located within these areas and pride ourselves in being able to provide an experienced, professional and prompt service. 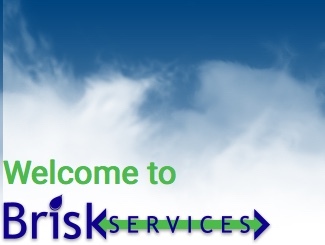 Brisk Services aim to provide a prompt, efficient, and reasonably priced service to all it clients. We believe in keeping our promises and will, wherever possible, ensure that we arrive at the agreed time. Our technicians will survey the situation and provide a free and concise quotation for the work, prior to commencing any work. Out technicians will carry out the work and ensure that all areas worked in are left in a clean and tidy state. Our technicians are all qualified to carry out the required work, and we can assure you that you will be given a fair and reasonable quotation for the work that has been agreed. Furthermore, if we unblock your drains and do not detect any other possible faults, we will be happy to return to site FREE of charge within 28 days of your incident if the SAME drain blocks again. We cannot really be fairer than that, can we?